A US fighter jet has crashed into the sea off the Japanese island of Okinawa. The F-15 Eagle aircraft crashed at about 6.40am on Monday local time, about 80km south of Naha city in the island's south. 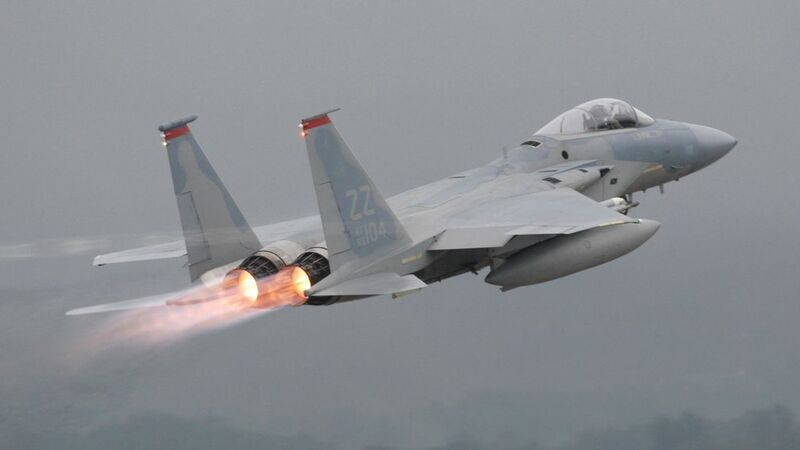 The plane was from the US Air Force's Kadena Base, which said on Twitter that its pilot successfully ejected and was safely recovered by search and rescue teams. Reports say the pilot suffered a broken leg and was taken by helicopter to a nearby US naval hospital. The air base said the man's condition was "unknown" but thanked Japan's Self-Defense Force search and rescue team, saying: "Your quick response proves once again how valuable an asset you are to the US/Japanese alliance." There was no one else in the plane. Nearly 18,000 Americans and more than 4,000 Japanese employees work on Kadena Air Base, which is home to the 18th Wing and associated US Air Force units, according to its website. Kadena is the largest US military base in Japan, a country which hosts about 47,000 US troops under a decades-long security pact. The crash on Monday is the latest in a series of incidents involving US military aircraft in Japan, including emergency landings by helicopters, part of a helicopter falling on a school, and the fatal crash of an Osprey last year.